This Module is a breakout board for Intersils X9C104 digitally controlled potentiometer IC. This module helps you simulate the mechanical control of a potentiometer. The integrated circuit contains 99 series-related resistors. With a microcontroller, you can control the module and select the place where the center pin of the "potentiometer" is connected, anywhere in the 100 points available (at the ends of the group or between the resistors). The X9C104 digital potentiometer consists of inserting a hundred resistors with a 1K ohm value. With the pins we can select the number of resistors we want, so we can digitally vary the resistance of the potentiometer. 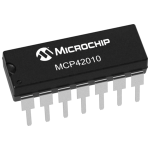 The device dissipates a power of 10 mW and supports resistors with a maximum current of 4.4 mA. 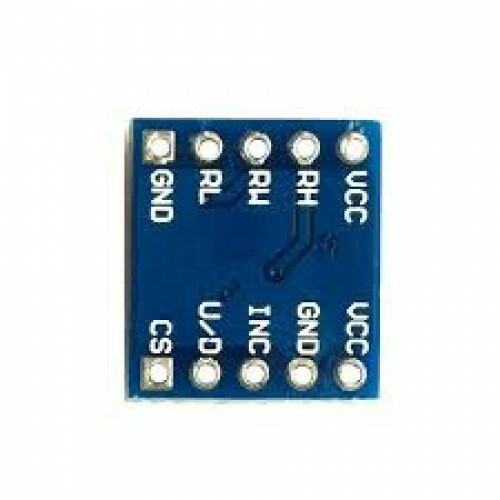 This module can be easily interfaced to Arduino, Raspberry Pi or any other Micro-controller as well. This module has varied applications, can be used as resistive divider, variable resistance, these are used in different schemes with operational amplifiers or other analog circuits. These digital potentiometers are used in the industrial field. For example, analog signals generated by various sensors have to be calibrated using Wheatstone bridges made up of variable resistors. Using digital potentiometers and microcontrollers, signal self calibration systems can be implemented. You can use the X9C104 module to build a software controlled voltage source or a variable amplifier amplifier controlled by the Arduino plate. 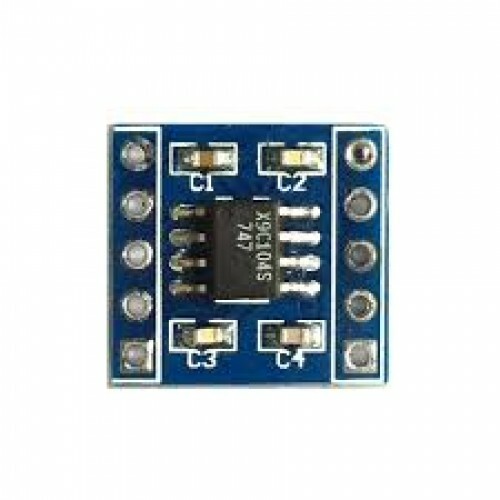 X9C104 Digital Potentiometer ModuleThis Module is a breakout board for Intersils X9C104 digitally co..